Today is Bell Let’s Talk Day – a program created by Bell to raise awareness for mental health. For me, Let’s Talk (about mental illness/depression/postpartum/PTSD) is an everyday thing, but I love this initiative and I think it’s a fantastic thing. Bell is using their platform to reach millions of people who could use the support and encouragement — YES!!! I’d like to share this video of an RCMP police officer who is incredibly brave and courageous to talk about his experiences: watch it here on the CTV News website! 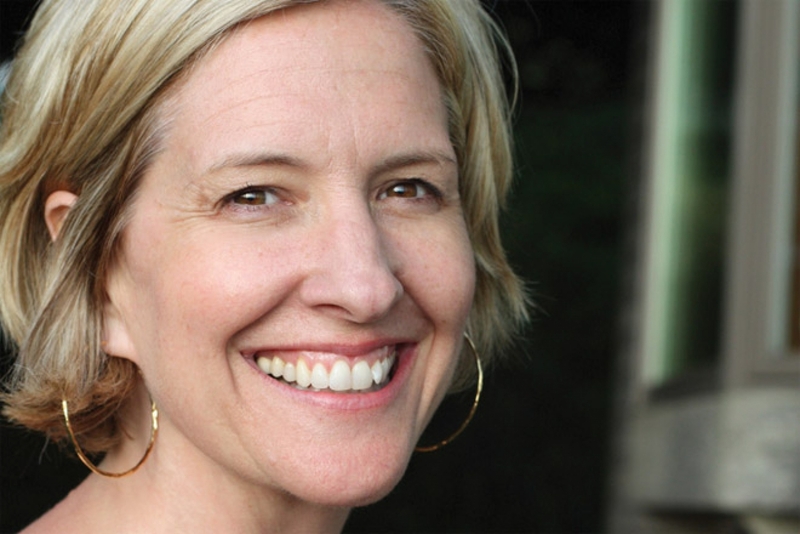 And because no post of mine is complete without some Brené Brown, I’m adding two very relevant images I made with her words. One of things we can all do is to not look away when someone is in the dark. 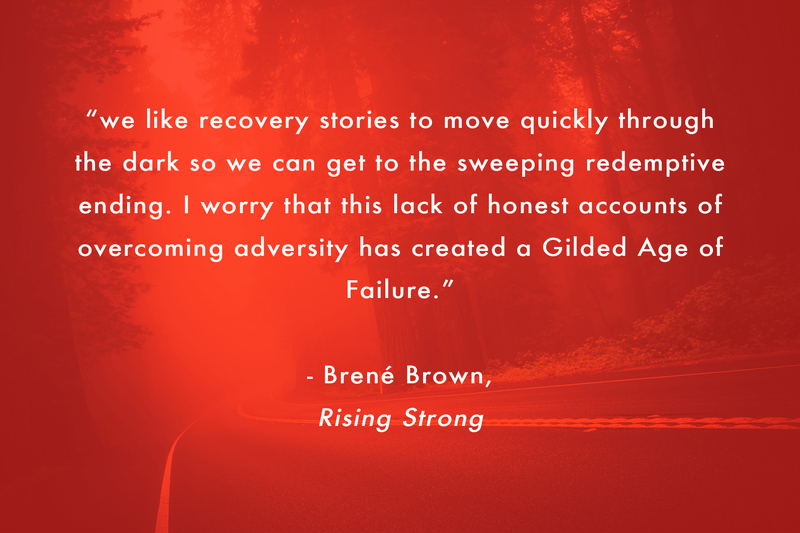 Brené says people reflexively look away and we search out that redemptive ending, but the support, empathy and encouragement is really useful when the lights are out. I know really seeing someone while they’re in that place is difficult to do, but if you could find the courage to do so, it may change someone’s life. 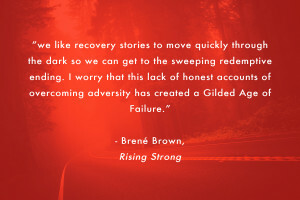 This is the reason for sharing my stories. Filed under Life. 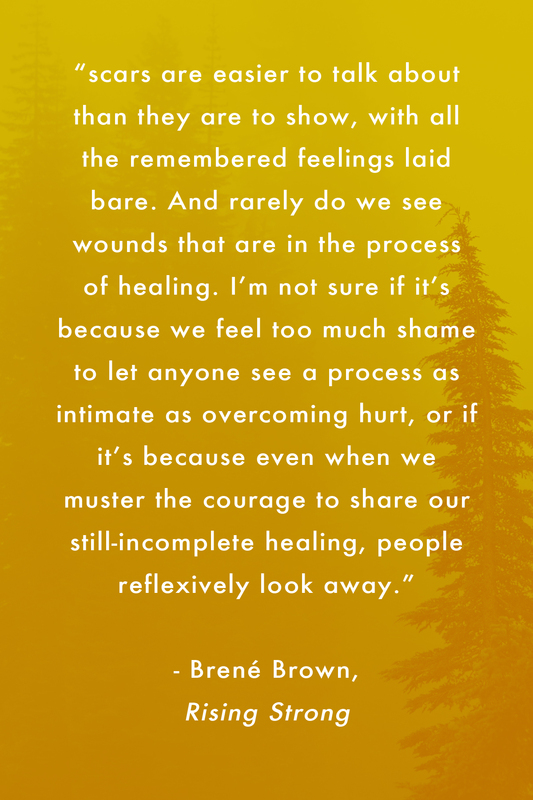 Tagged BellLetsTalkDay, Brené Brown, depression, graphics, PTSD, Quotes.